Looking To Sell Your House Fast in Yukon? We are a locally owned, BBB Accredited company that BUYS houses in Yukon. We aren’t your normal, picky home buyers looking for our dream home who take 45-60 days to close on a house purchase and ask for lots of repairs and for you to pay $5,000 in closing costs…. Discover how we give cash for homes in as little as 14 days. 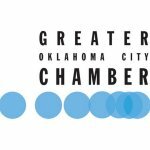 Oklahoma City and the surrounding metropolitan area, such as Yukon, may be experiencing growth and new residents alongside new job openings, but that doesn’t always spell positive for homeowners. Even when the market is in great shape there’s often still a significant delay in getting a home to sell. Many homeowners hope the right offer will come quickly. And while that does happen for some, it’s rare. In fact, many homeowners are often left waiting several months before they get an attractive offer on their home. At W Properties, we’ve had the pleasure of helping countless homeowners in Yukon and surrounding areas sell their homes fast. Rather than play the waiting game, they sell their home as-is to us. No waiting, no updates necessary, with offers closed within 30 days… and even as fast as 14 days. We’ve streamlined everything to create the fastest hassle-free process to a fair cash offer on any home, in any condition. 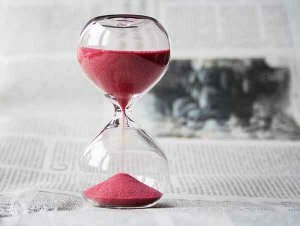 How Long Does It Take to Sell a Home in Yukon, Oklahoma? 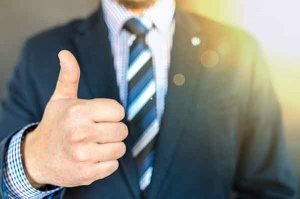 The unfortunate truth about a traditional listing is that even if you do get an attractive offer after waiting one, two, or even three months or more there’s nothing to guarantee the buyer will follow through. There’s no shortage of horror stories about buyers backing out months into a deal that seemed certain to close. That’s why more homeowners are choosing to sell their homes fast with an investment company like W Properties. Want to know more about our process? It’s incredibly simple. Fill out the form below and supply us with some details about you and your home. We’ll get back with you within 24 hours to answer all your questions. Or, you can see a detailed explanation of how it works here. We may be legal and licensed agents with Oklahoma Real Estate Commission, but we’re not a real estate agency. Rather than waste time listing your home we buy it direct. There’s no faster way to sell a house in Yukon, OK than to work directly with a real estate investment company like W Properties. Virtually every home has to go through the same process to be sold through a traditional listing, and that includes some kind of maintenance and updates. Just repainting a home and tending to the floors and surfaces to make a home sale-ready can add weeks and even months to the wait to get your home sold. No homeowner interested in selling their house fast wants to pay out of pocket just to sit, wait, and hope for the right offer to come along. And that isn’t necessary when you can get a fair cash offer on your house right now. Whether your home suffered storm damage, is aging and badly in need of updates, has fire damage, or came to you through probate we can help. We buy homes in any condition. People in Yukon sell their homes for a variety of reasons. Most of the homeowners who visit us need to sell a home fast, and that’s what we specialize in. Whether you were unhappy with the offers of a traditional listing (or got no offers), or you just need to get rid of a home you no longer want, we have a solution for you. Does your schedule allow you to wait until all the repairs and updates are completed before your home is listed? Are you willing to reduce the closing price on your home for repair credits if you don’t fix it? What if the buyer doesn’t want repair credits? Do you have the funds to pay for those repairs out of pocket before a buyer will close? What’s your plan if you can’t find a buyer for your house? Would you like to get a fair cash offer on your home, and have it sold in under 30 days, as-is with no repairs? 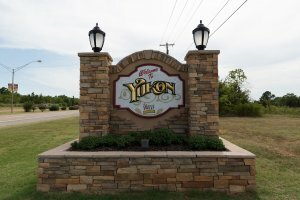 If you want to sell your property in Yukon, OK fast then call or text us today at (405) 673-4901 OR fill out the form below. We’ll connect with you right away and get you a cash offer fast.